SALE - 1962 Nail it! 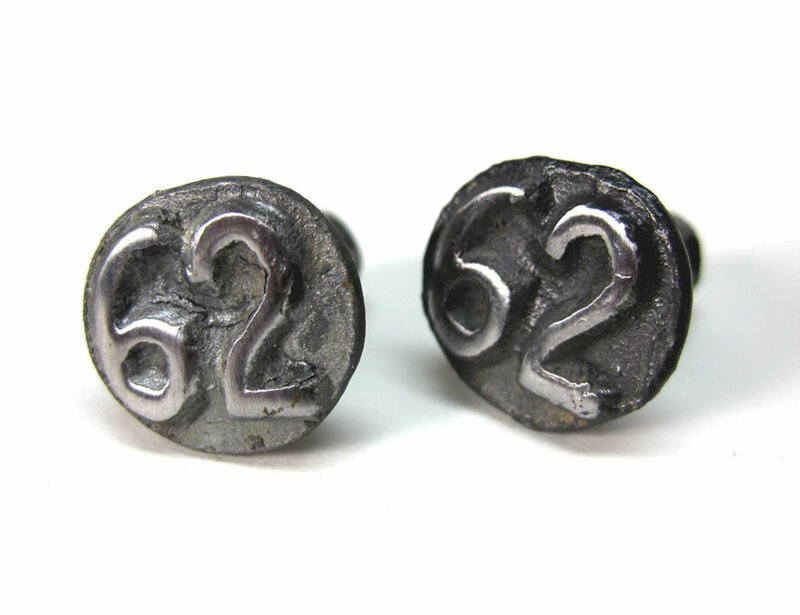 Date nails were driven into railroad ties, bridge timbers, utility poles, mine props, and other wooden structures for record keeping purposes between 1897 and the late 1960s. 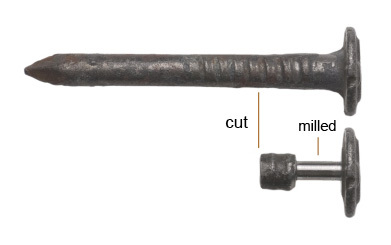 Most were made of steel and measure 2 1/2" long, with 1/4" shanks. 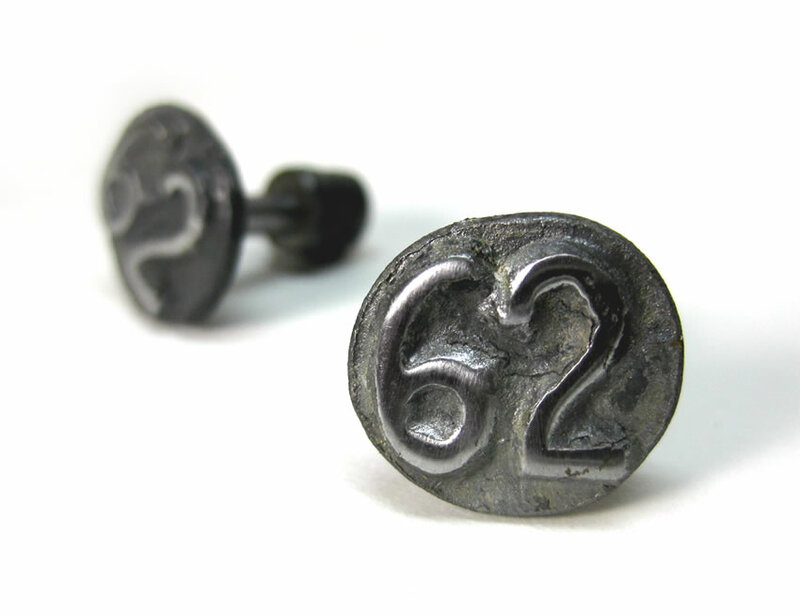 These unique cuff links are crafted from original 1962 date nails, with the shank cut and milled to create a post-style fastener. 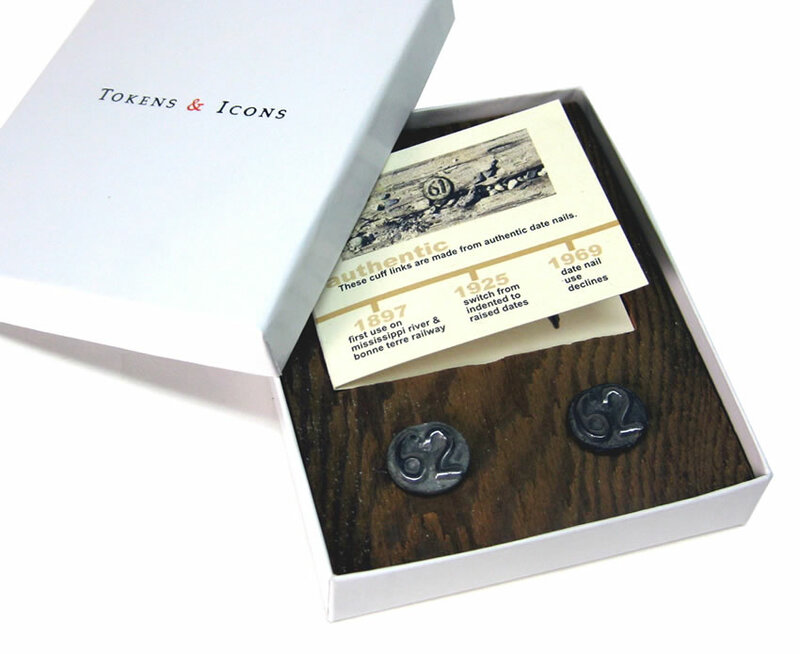 Each pair is boxed with a redwood holder and a certificate of authenticity describing the transformation process.